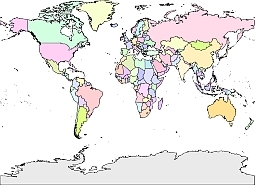 Editable royalty-free map of 144 free vector world maps in vector-graphic online store. 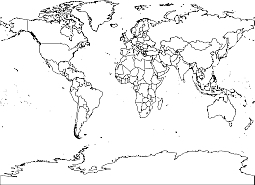 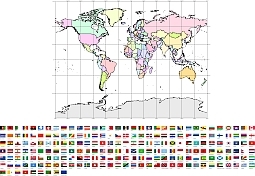 144 free ( ai, cdr, eps, wmf, pdf, also 300 dpi jpg ) High Detail vector world maps sets composed by a full map of the world with different colors for each country. 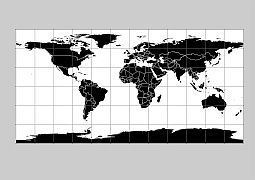 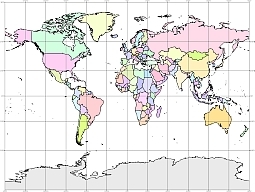 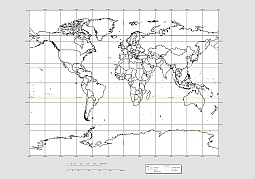 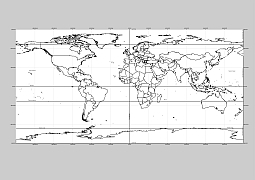 All elements are separated in editable layers clearly labeled.Famous projections: Mercator (rectangle), WGS 84 (rectangle), Plate Carreé (rectangle) Robinson and Mollweide (rounded world maps) 30 degree latitude and longitude division (mesh or grid) . 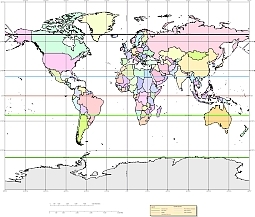 World maps are showing the Equator, tropic of Cancer and tropic of Capricorn.